Feinstein Institute for Medical Research researcher Joseph Diamond, MD, and colleagues investigated the impact of new, stricter guidelines issued in November 2017 that redefine high blood pressure and found that while patients at higher risk for cardiovascular disease benefited from the stricter blood pressure goals, those with lower risk had more harm than benefit. In fact, it is possible that up to 10 million people receive unnecessarily-aggressive blood pressure treatments under these guidelines. These findings were published online in the Journal of the American College of Cardiology. The 2017 guidelines were written by a panel of 21 scientists and health experts who reviewed more than 900 published studies, and issued by the American Heart Association, American College of Cardiology and nine other professional health organizations. The threshold for hypertension is now a blood pressure reading of 130 over 80 mm Hg, rather than the previous 140 over 90. 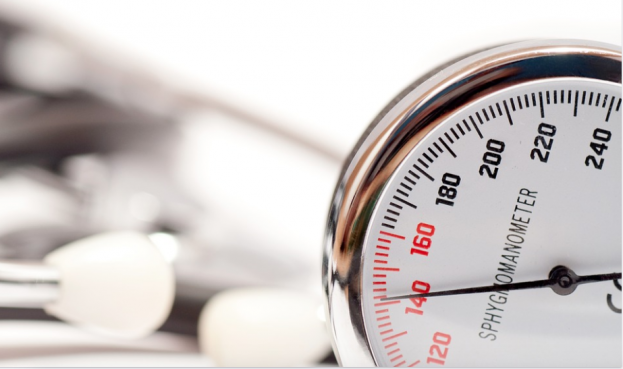 That translates into 46 percent of American adults who are now considered hypertensive, up from 32 percent. Using the 10-year cardiovascular disease risk, the researchers found that aggressive treatment of patients with a risk greater than or equal to 18.2 percent would result in more benefit than harm, while those with a risk of less than that would fare better under a standard blood pressure management approach. The 2017 guidelines suggest treating patients with a greater than 10 percent risk. Dr. Diamond collaborated with the following researchers on this study: Robert A Phillips, Jiaqiong Xu, Leif E. Petersonand Ryan M. Arnold from Houston Methodist, and Adam E. Schussheim from Bridgeport Hospital, Yale-New Haven Health System.